When the big moment finally comes, and it is time to finally pop the big questions, do you know what ring will have her saying yes? Engagement rings are always known as a beautiful representation of the relationship you share. 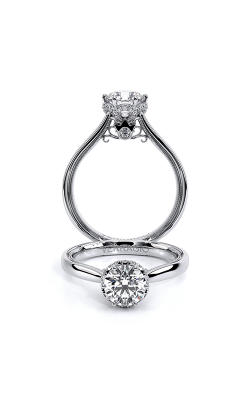 Known for their simplistic build, solitaire rings are known for the center diamond resting upon an unadorned band. 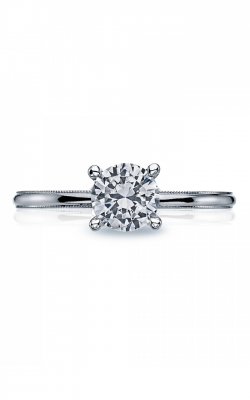 The single center stone becomes the highlight and main attraction on this classic band. With solitaire rings able to house a multitude of diamond shapes, including princess, round, emerald, radiant, cushion, and more, you will surely find a solitaire ring that fits any bride-to-be’s fashion taste and at Golden Nugget Jewelers of Philadelphia, there is a solitaire ring perfect for everyone. 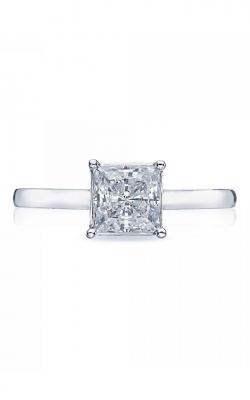 At Golden Nugget Jewelers, you will find a vast collection of solitaire rings from some of today’s top designers. 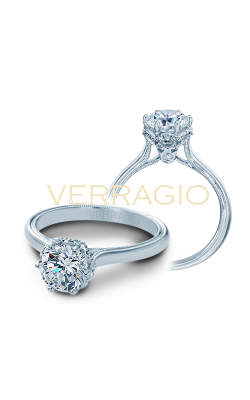 We carry some of the most well-respected designers in the industry including A. Jaffe, Tacori, Verragio, and more. From Artcarved, you will find solitaire rings in their Classic, Vintage, and Contemporary Collections which utilizes a mixture of metals along with unique designs with metal. Using their masterful metalwork knowledge, they incorporate bead and lace designs elevating the long standing solitaire ring. 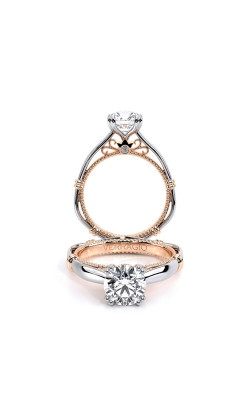 From A. Jaffe, you will find solitaire rings in their Classic, Metropolitan, and Seasons of Love Collections with rings crafted of rose gold, white gold, yellow gold, and platinum. Shop Goldman for solitaire bands in their Contemporary and Vintage Collections. From Simon G, you will find solitaire rings in their popular Classic Romance and Solitaire Collections. These solitaire rings utilize some classic designs with some of today’s hottest fashions and looks. 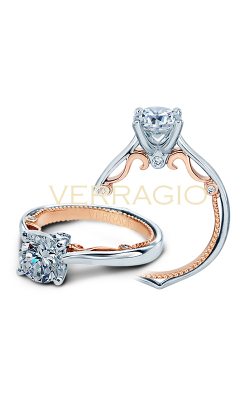 From Verragio, solitaire rings with their unique mixed metals and designs, along with beaded and lace crafted styles can be found in their Venetian, Classic, Couture, and Parisian Collections. 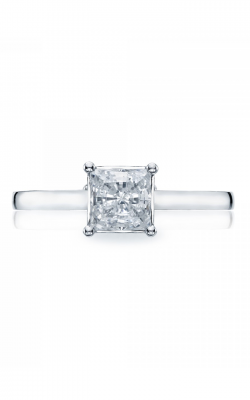 As a Platinum Tacori Dealer, we are able to offer some of the top of the line engagement rings, wedding bands, and fashion jewelry from master jeweler Tacori. 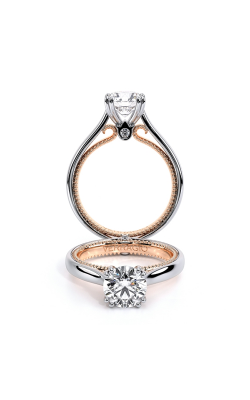 This partnership allows us the opportunity to present a stunning collection of solitaire rings in their Sculpted Crescent and Starlit Collections. Not to be forgotten, the Jeff Cooper collection houses solitaire rings with striking prong settings that elevate the presence of the center stone in a magical way. Located in Philadelphia, Pennsylvania, Golden Nugget Jewelers has served the community for over 30 years. We are proud partners of the Philadelphia Eagles, Flyers, and 76ers. We are proud to carry a best diamond price guarantee to ensure that our community gets the diamonds they want at the fairest price and with one of the largest loose diamond and engagement ring inventories in the tri-state area. With a lifetime diamond upgrade, you can grow your diamond as your relationship continues to grow as we offer 100% credit of the original purchase of your diamond. For our customers we offer financing with 6-12 months interest free financing so you can get the dream ring of the one that you love. 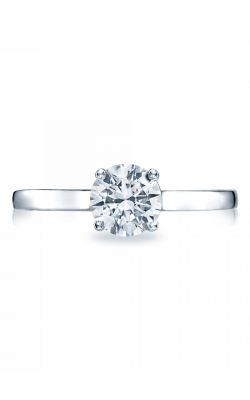 Find the perfect diamond solitaire ring at Golden Nugget Jewelers.